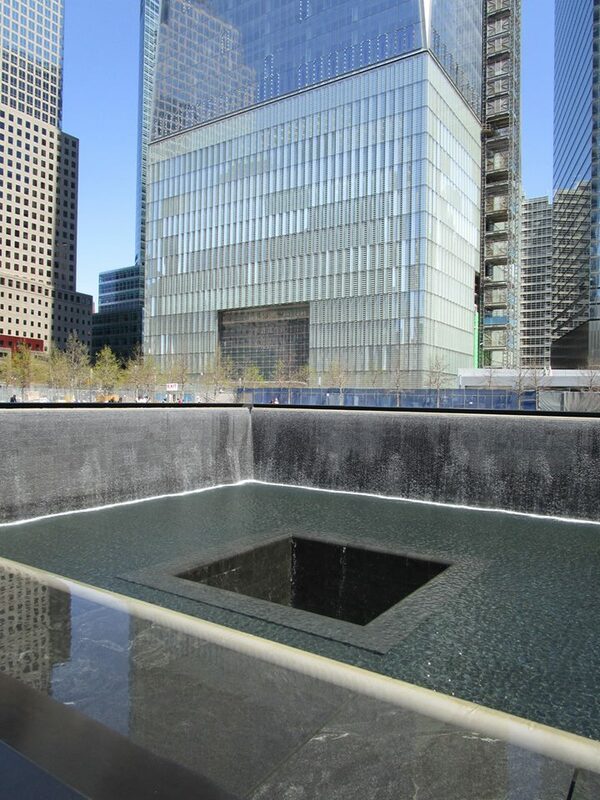 Michael went on to describe the listed names of the 9/11 victims that you see surrounding the fountain. 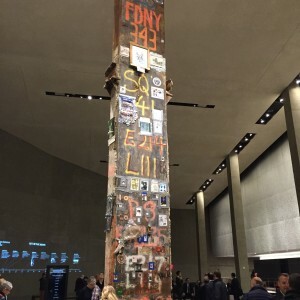 There are 22 names on each 10-foot (three-meter) panel, and they are listed with “meaningful adjacency.” The planners of the memorial reached out to family members of the victims to make sure that the victim’s name was listed amongst family and friends, making the memorial site all the more special and meaningful to the surviving family members and friends of those lost in the attacks. 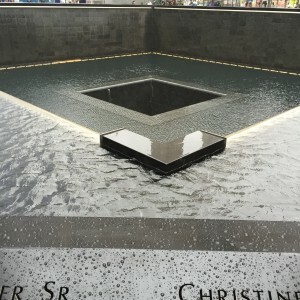 It took over a year to design the layout of the names surrounding the fountains. 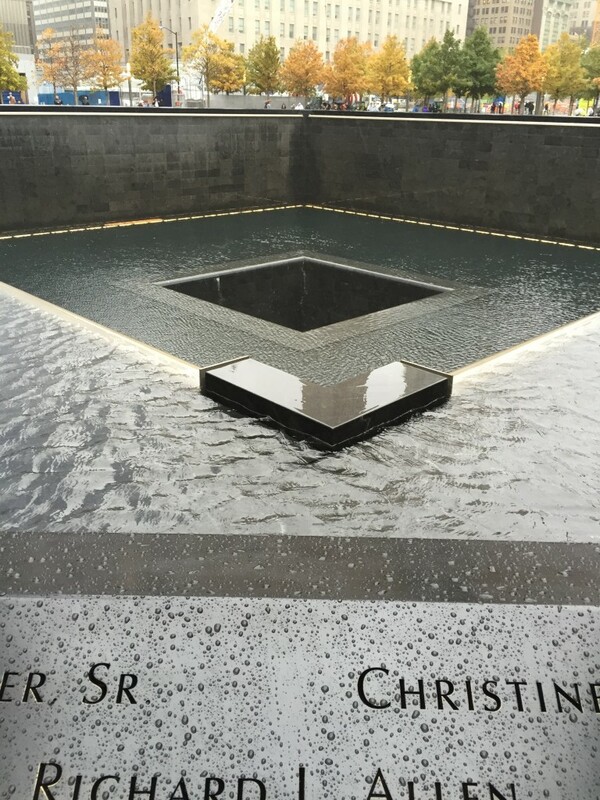 The memorial site tour was concluded with a walk to the “Survivor Tree.” The callery pear tree was found at Ground Zero severely damaged. 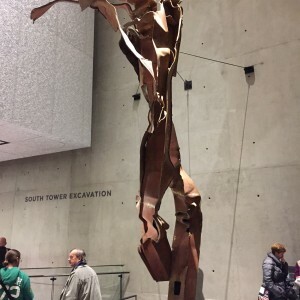 After being removed from the rubble, the tree was rehabilitated and return to the memorial, where the tree now thrives. 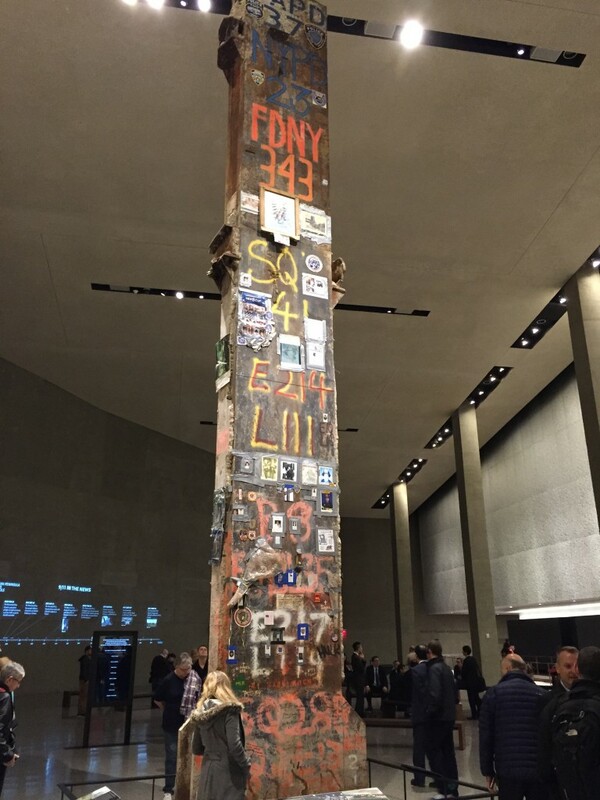 This entire site is a symbol of America resilience and survival, but there may not be a symbol that defines these characteristics as well as the Survivor Tree. 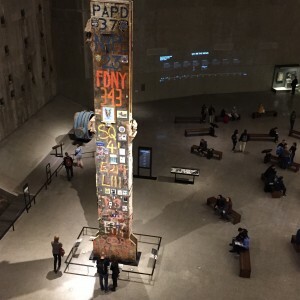 After this very moving and informational presentation from Michael Arad, he then handed the group off to Edward Sidor and Maureen Herrigan, who both work for the 9/11 Memorial Museum. 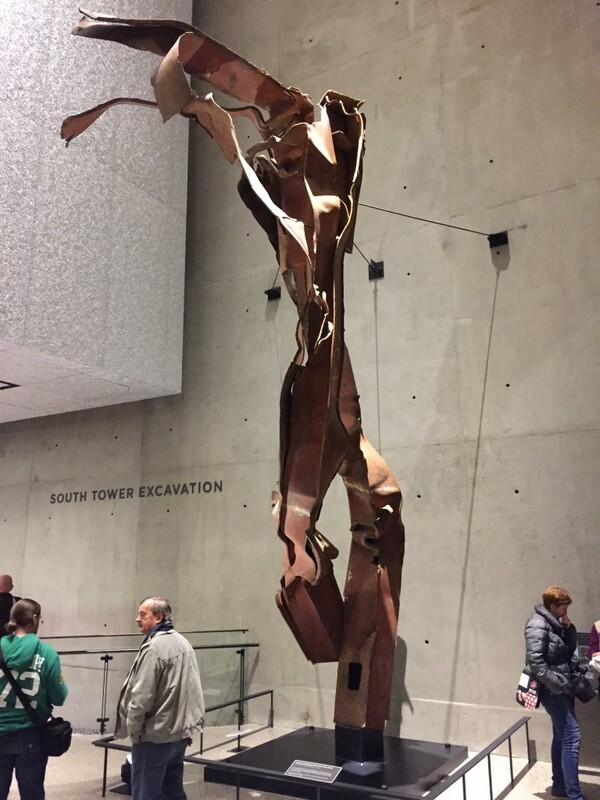 Edward, who arrived at the site on day two of the clean-up effort and has remained involved ever since, is the senior director of the design and construction team for the museum, and Maureen is one of the conservators. 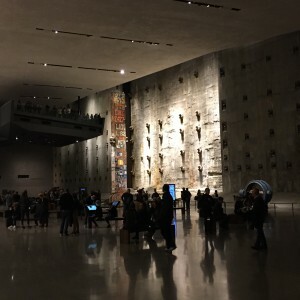 They started the tour by explaining that the museum is entirely below grade, because constructing a building above grade, would have detracted from the beauty and importance of the memorial site. 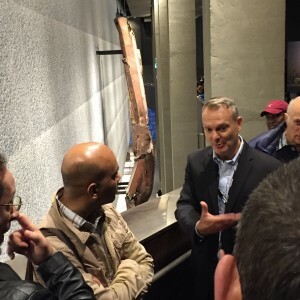 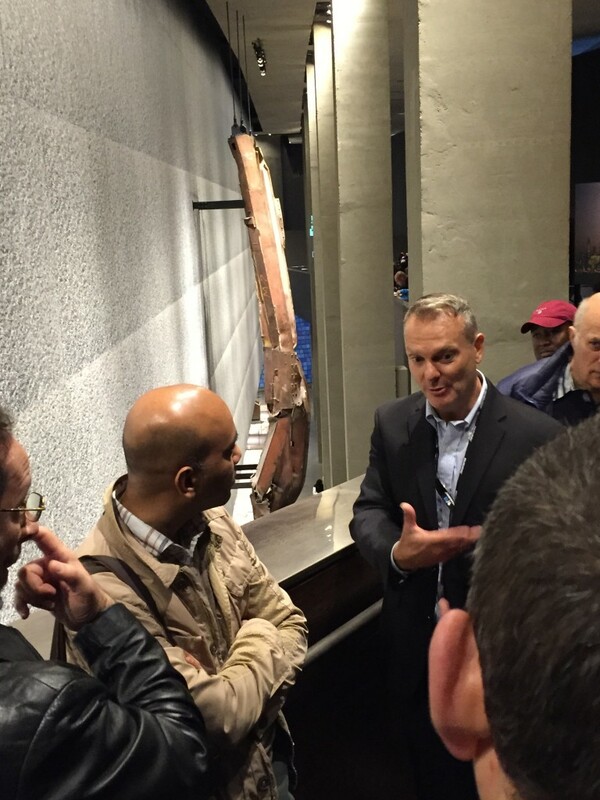 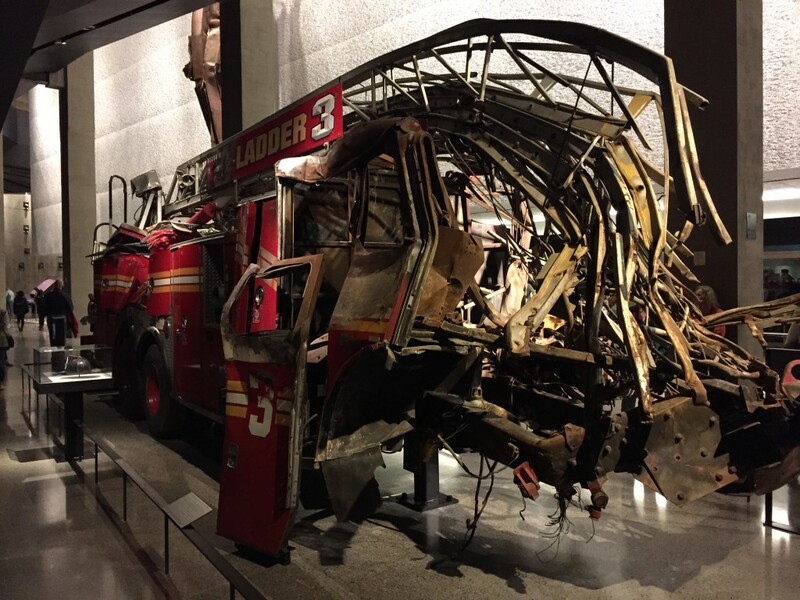 The two tour guides took the delegates on a very comprehensive look at the museum elements, structure, and important artifacts that were saved from 9/11 and brought here. 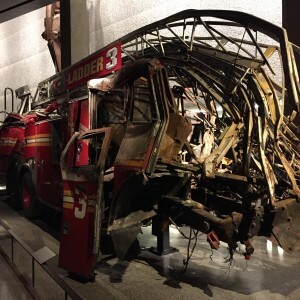 Materials salvaged from the attacks were stored in a hangar at JFK airport and meticulously sorted and inspected, and then later transported back to the site to become a part of the memorial museum. 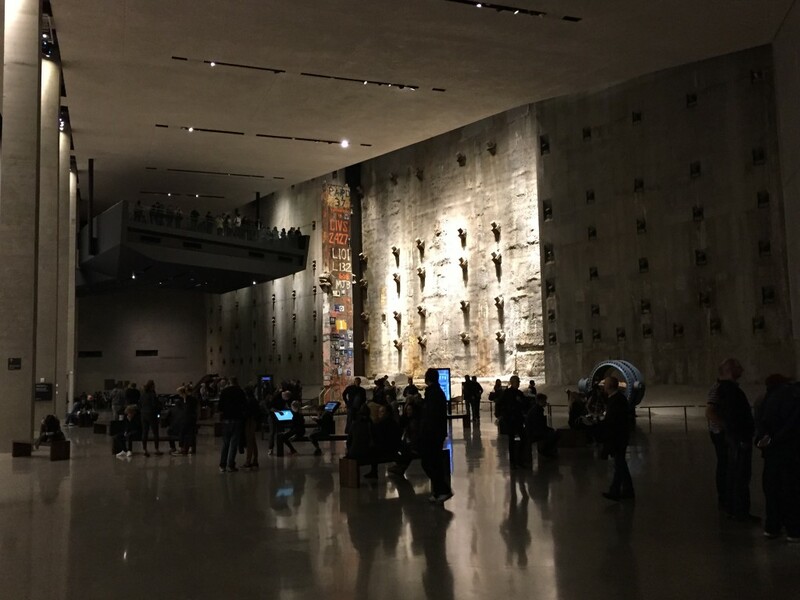 Delegates were able to view the slurry wall which was originally constructed in the 1960s. 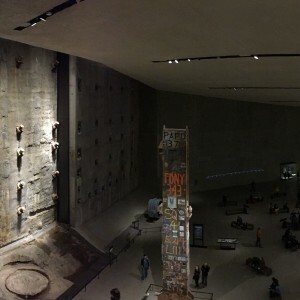 The slurry wall creates the “bath-tub structure” which kept water from the Hudson River out of the base of the buildings during the original construction. 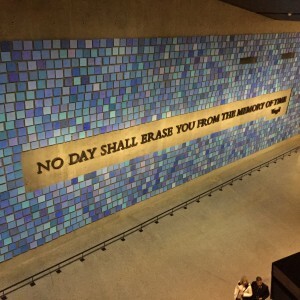 This slurry wall was strained heavily during the attacks, due to the pressure of the collapsing buildings, but held strong, and helped prevent one of America’s worst disasters from becoming even worse. 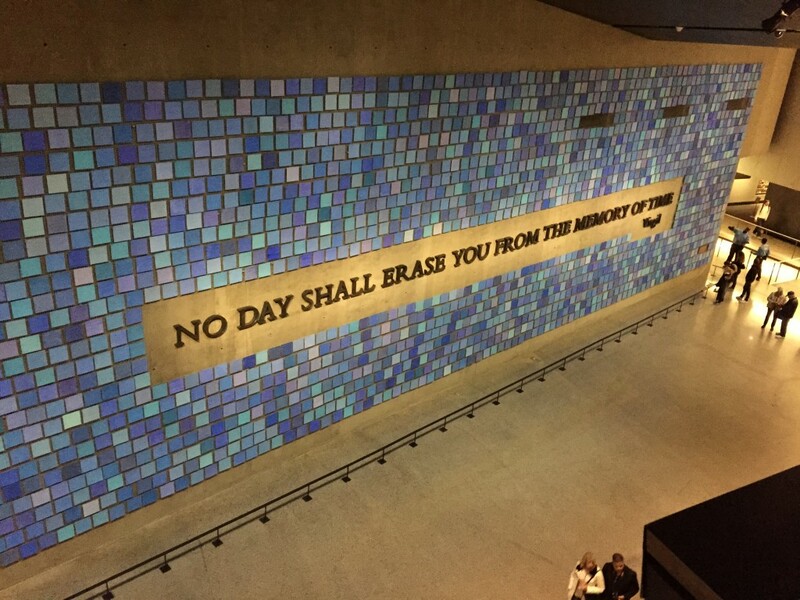 If the slurry wall had not held, the foundation would have been flooded with water, thus leading to the flooding of PATH tubes. 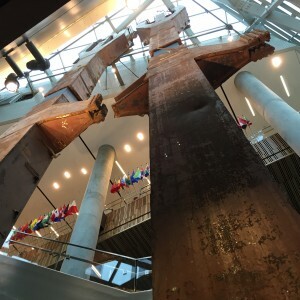 After viewing artifacts (including large segments of impacted steel, where the planes struck each tower), and the large scale art piece “Trying to Remember the Colour of the Sky on That September Morning” by Spencer Finch, the tour was concluded by gathering around “The Last Column.” The Last Column is one of the first things you see as you descend down the ramp into the main museum space. 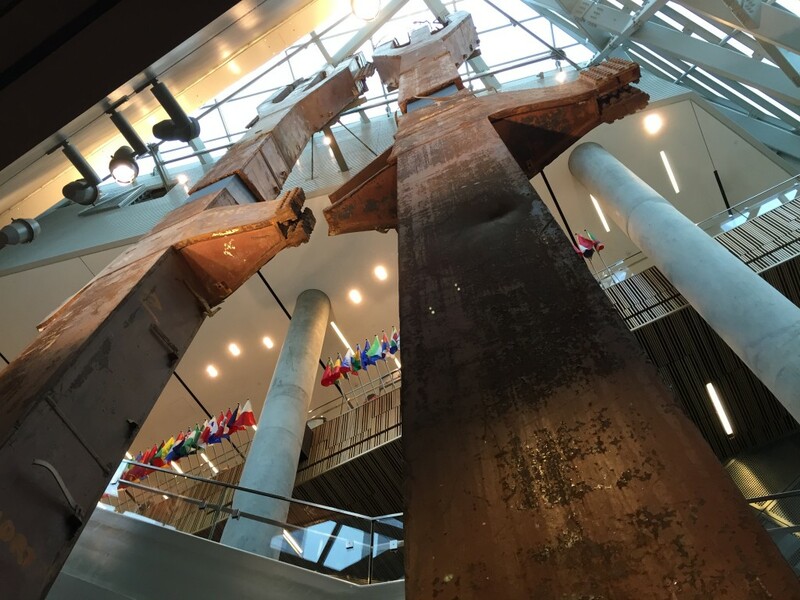 This column is a three-story beam that was too heavy to be removed from the museum, so instead it was wrapped in plastic and the museum was built around it. 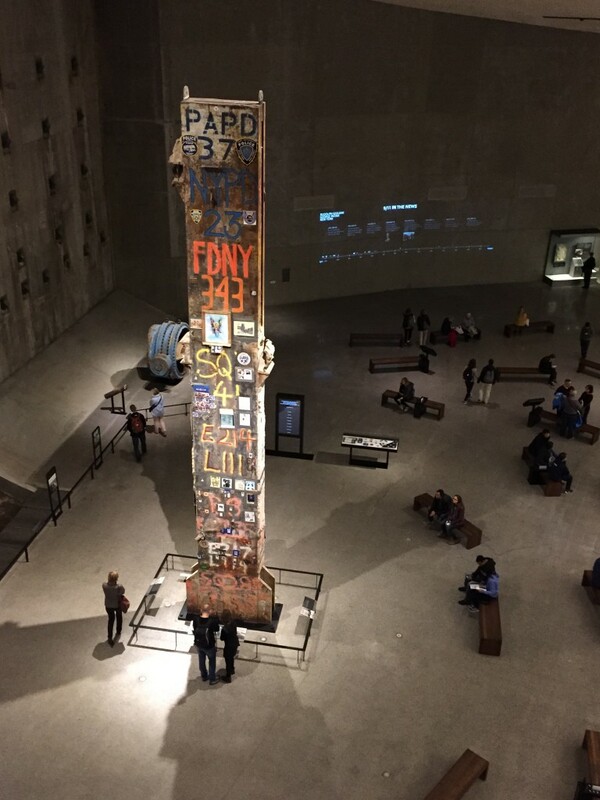 Considered to be one of the most important artifacts in the museum, this beam contains names and photos of those who worked tirelessly to help save as many lives on possible on that infamous day, and those who worked tirelessly to help clean up the site in the aftermath, including the name of group tour guide, Edward Sidor.